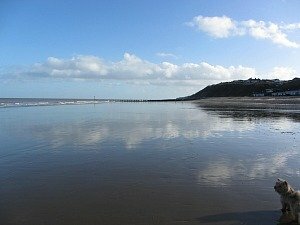 Sheringham Beach is a fantastically sandy beach when the tide is out. 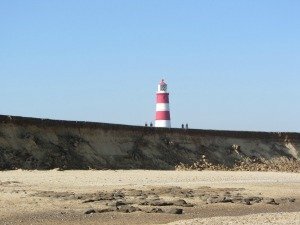 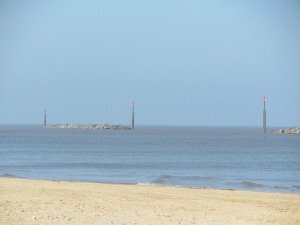 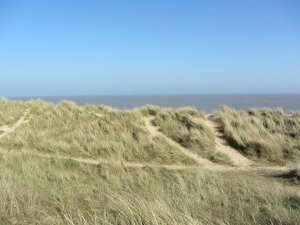 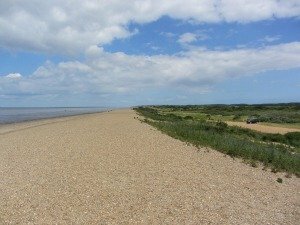 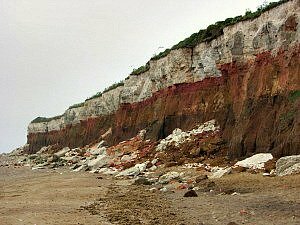 However, if you’re looking for Norfolk beaches where you can guarantee the sand , whether it be high or low tide, then you should definitely check the tide times before you visit here to make sure it is low tide. 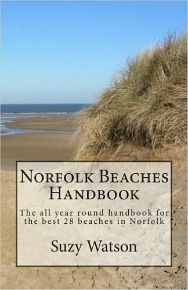 But, having said that, it is still a lovely beach to spend some time on - and here's why. 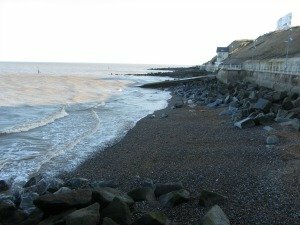 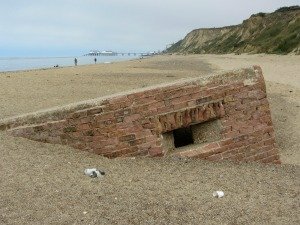 If the tide is in, don't despair, because you can easily have a lovely walk along both the west and east promenade, or along the pebbles on the beach, but you will find it difficult to walk between the groynes, even though there are steps going up and over the groynes. 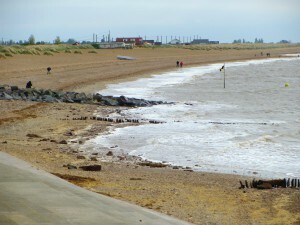 Huge bolders and rocks lie against the main part of the promenade as a sea defence, so at high tide you will only find rocks and shingle, but if you amble further east, or west, then these disappear and you are left with much smaller pebbles and shingle which makes it a much more pleasurable walk. 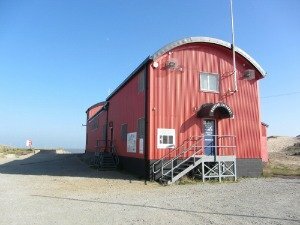 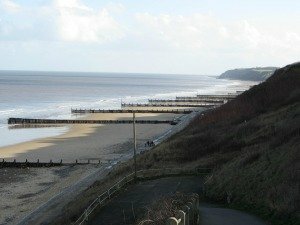 You could also visit the Sheringham Lifeboat Station, which is open to the public, but beware, they may get a 'shout' and you'll have to move out of the way as they launch the lifeboat out to sea. 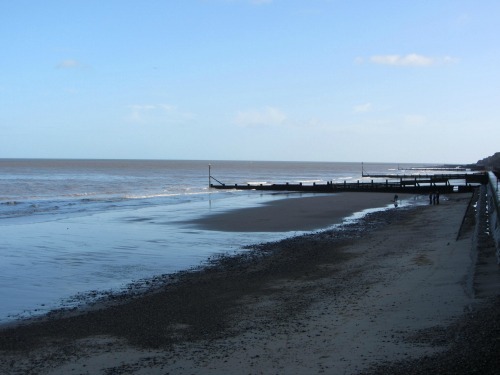 You'll find Sheringham beach tide times here. 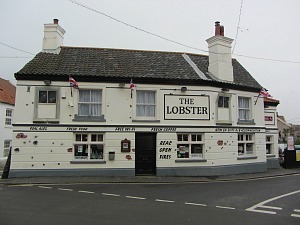 And if you're looking for somewhere to have lunch, then The Lobster Inn in Sheringham is a fantastic dog friendly pub with some lovely rooms, very close to the beach and the Norfolk Coast Path. 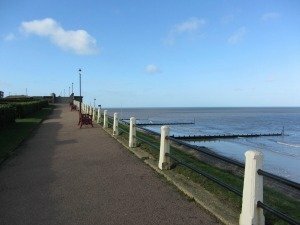 It is literally a 3 minute walk from the promenade. 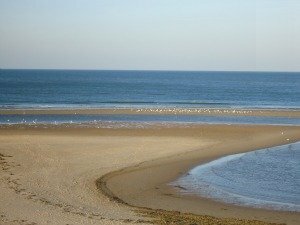 The beach really comes into its own at low tide. 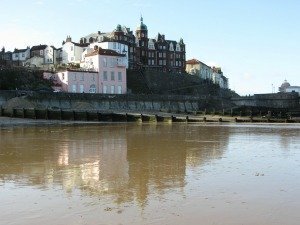 As the tide goes out, it leaves rock pools amongst the bolders, and lovely hard sand on which to build as many sand castles as you like. 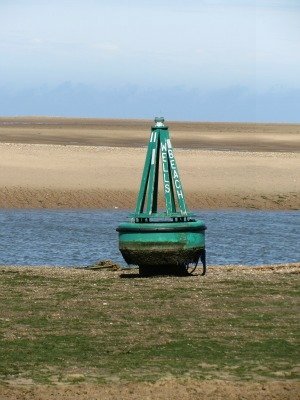 It also counts as a bucket and spade beach too. 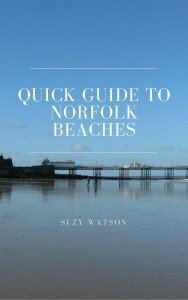 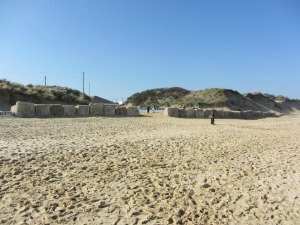 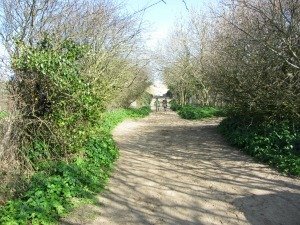 It's ideal for families, however, it is slightly tricky if you’ve got a buggy, because getting down to the beach isn’t very easy across the pebbles, although certainly not impossible. 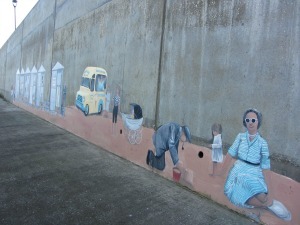 And there are WC’s and showers on the promenade, which is always a great relief to know! 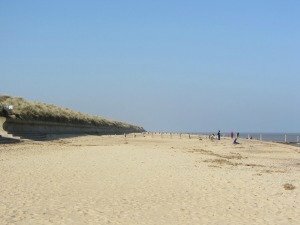 It's a beach which stretches as far as the eye can see, so there's always plenty of room for everyone. 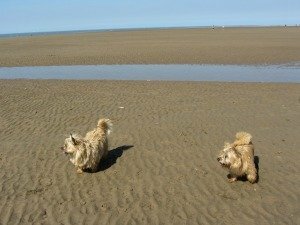 The main part of the beach is not a dog friendly beach in the summer months though. 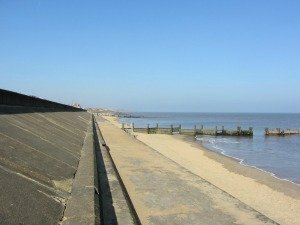 Walking along the West Promenade and up to the top of the cliff along the tarmac path, you get incredible vistas both east and west, overlooking the groynes on the beach. 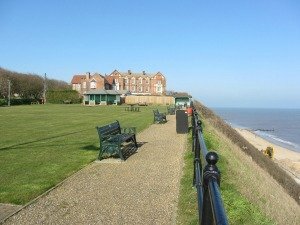 There are masses of benches where you can sit and admire the wonderful sea view. 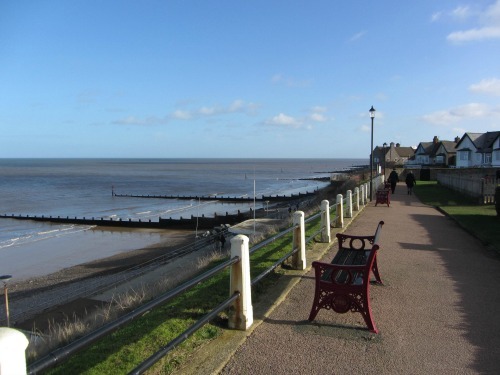 Or idle along the promenade for a typical seaside walk. 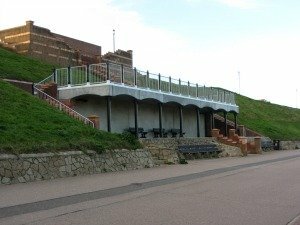 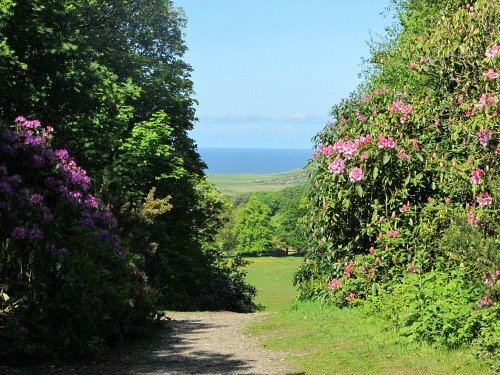 The promenade forms part of the Norfolk Coast Path, and the walk along the cliff tops of Sheringham, along the golf course, are fantastic. 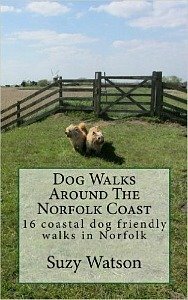 It makes for a great clifftop walk. 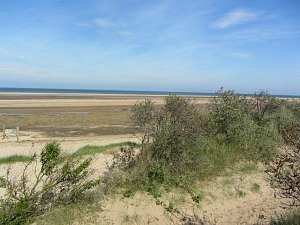 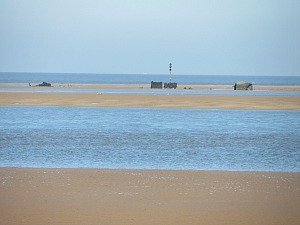 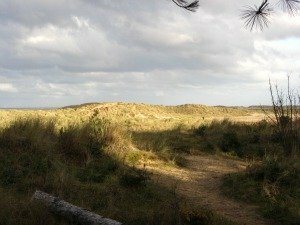 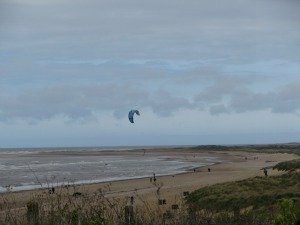 When the tide is in, your best bet would be to travel westwards along the coast and visit Wells beach or Holkham beach where you are always guaranteed to get the sand.